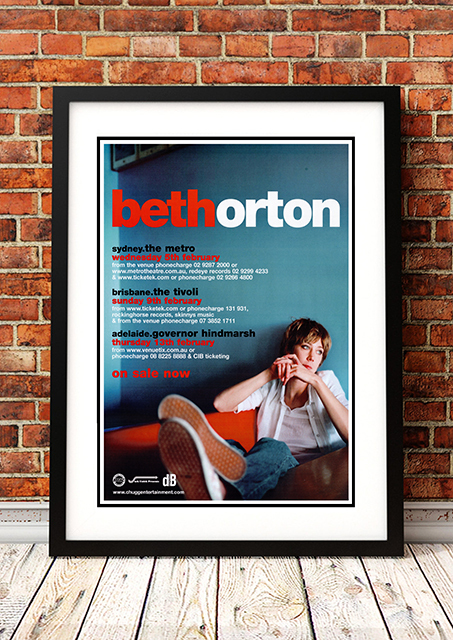 Classic Beth Orton Band Concert Posters and Memorabilia! Buy Online Now! 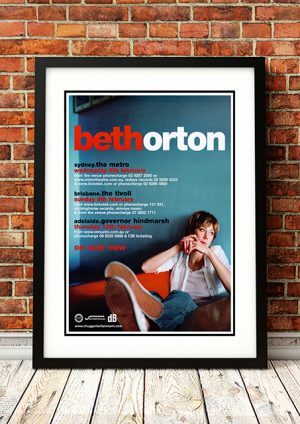 Singer/songwriter Beth Orton combined the passionate beauty of the acoustic folk tradition with the electronic beats of trip-hop to create a fresh, distinct fusion of roots and rhythm. In 1995 Orton teamed with the Chemical Brothers for “Alive: Alone,” the ultimate track on their Exit Planet Dust LP. After assembling a backing band comprised of double bassist Ali Friend, guitarist Ted Barnes, keyboardist Lee Spencer, and drummer Wildcat Will, she finally issued her 1996 debut EP She Cries Your Name. Her stunning full-length bow Trailer Park, produced in part by Andrew Weatherall, followed later in the year. 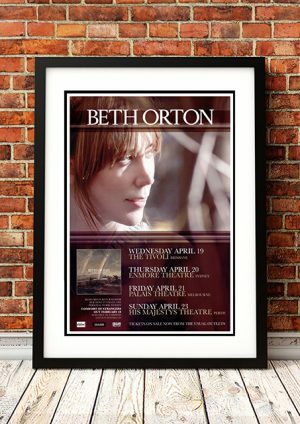 We stock some awesome Beth Orton Band Concert Posters.